Struggling to demonstrate impact/value? Teams all over the place priority-wise?, Things feeling a bit scattergun and confused? People can't describe where the team/business is going? The strategic priorities: Identifying what we should be doing strategy-wise and how to overcome challenges - A simple, non-jargon methodology to map out the path ahead. 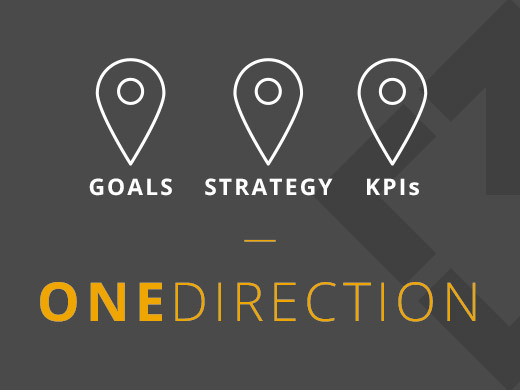 Designing powerful KPIs: How you'll know the strategy is working on a day-to-day basis. A unique and inspiring methodology that keeps you pointing in the right direction - includes an 'early warning system'! The momentum factor: A unique, visual mechanism that will keep the team on track. We provide the mix of training, facilitation and consultancy that will deliver the three steps for your organisation/team - and all from £995 plus VAT. Check out our brochure for more details.